Subscribers of defaulted mobile phone operator Citycell who have already been asked to avail alternative option by August 16 are going to get more time until any decision taken by the government. Posts and Telecommunications division (PTD) opined the subscribers should be allowed "a specific timeframe" only after reaching a concrete and final decision regarding the operator, reports BSS. 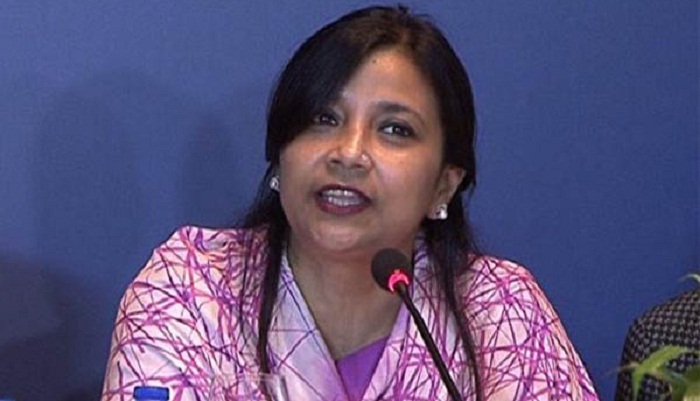 State minister for posts and telecommunications Tarana Halim on Sunday said at first institutional decision has to be taken, then the subscribers should be asked for switchover to elsewhere. "We are yet to receive any file from the telecom regulator regarding the shutdown of Citycell," she said, adding: "We will take the final decision after meeting." Ministry officials said the state minister would sit with the telecom regulator-- Bangladesh Telecommunication Regulatory Commission (BTRC) on August 17 where Citycell officials would also present to decide the fate of the operator. Earlier, on July 31, BTRC served the notice to the operator to explain why it should not face legal action for not paying the outstanding dues of Taka 477.51 crore since long. At the same time, the regulator also asked the subscribers of Citycell to manage alternative connection by August 16, as BTRC has decided to cancel the license and spectrum allocation of the operator. On August 3, BTRC Chairman Dr Shahjahan Mahmood told media that as regulator they would send recommendations and observations to the government. "They (government) would finally decide it's (Citycell) ultimate fate whether it would be shutdown or allowed to continue operation," he added. Country's first mobile phone operator which has been offering service using Code Division Multiple Access (CDMA) has now 1.50 lakh to 2 lakh subscribers after completion of ownership verification through biometric method. "The subscribers are getting few more days and we have to allow it. As a democratic government, we can't impose any decision suddenly," said the state minister. She said the BTRC should have to consult with ministry before moving to the decision about customers. Tarana Halim, however, certified the BTRC's decision on licensing and spectrum of Citycell. According to BTRC, the Citycell didn't pay the second and third installments, in combine Taka 229 crore, for 8.82 megahertz spectrum since spectrum renewal in 2012, which has breached the licensing terms. Besides, it has owed of annual spectrum fees (from the year 2013 to 2016) Taka 27.14 crore, revenue sharing (2014 to 2016) Taka 27.84 crore, social obligatory fund (2011 to 2016) Taka 8.92 crore, VAT Taka 39.92 crore and late fee of Taka 135 crore. Pacific Bangladesh Telecom Limited under the brand name "Citycell" obtained license in 1989 where SingTel Asia Pacific Investment Limited has 45 percent share while Far East Telecom Limited owns 23.57 percent share and remaining 31.43 percent share holds by Pacific Motor Limited.